Honeybees harvest Yilan's rich natural bounty and use it to produce the unique local honey which comes in a variety of flavors including cantaloupe, xianfeng herb, peach blossom, citrus, and kumquat. This specially designed limited-edition gift set includes a variety of different flavored honey to give our nature loving friends a taste of what our four seasons have to offer. Bee Family honey is made by using low temperature concentration methods which ensure purity and flavor, and preserve the honey's natural enzymes and vitamins in their active states, making it an indispensable source of daily nutrients. Honeybees harvest Yilan's rich natural bounty and use it to produce the unique local honey, to give our nature loving friends a taste of what Four Season's has to offer. 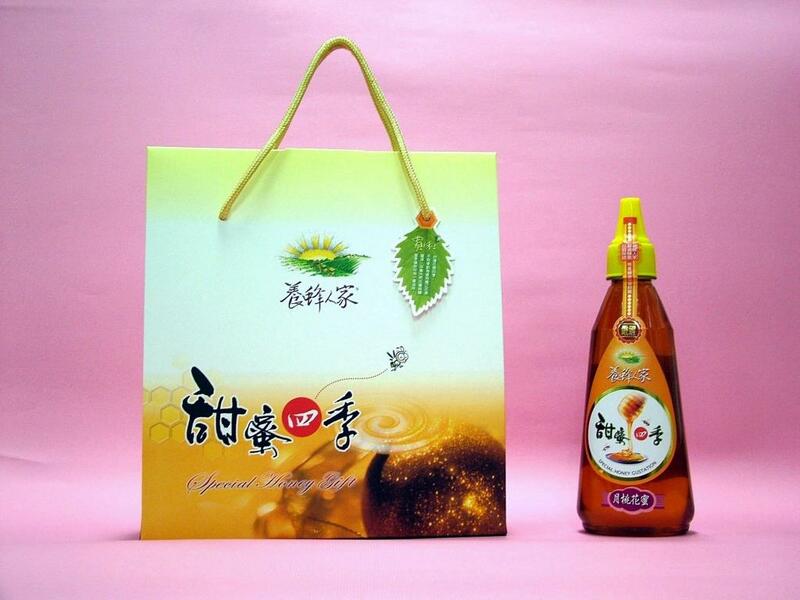 The Lanyang Plains pollutant free high quality honey logo embodies the spirit of Bee Family. In order to promote Yilan's agricultural products, the Yilan County Farmers' Association has selected Yilan golden dates and other local fruit and used them to manufacture candied fruit at CAS accredited Hsu Gong Corporation. 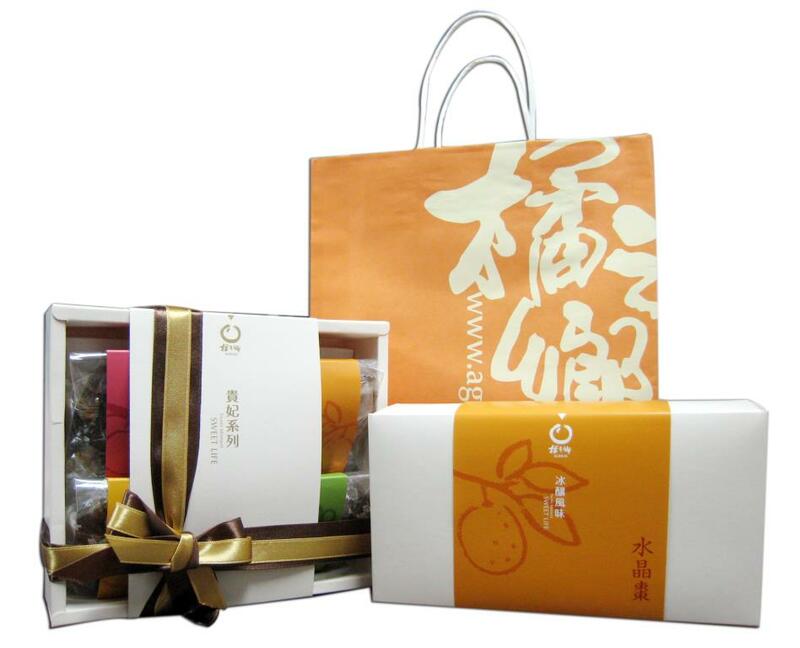 The treats are then packaged in MOA certified organic tea bags from Santai Organic Farm to create a sweet, organic, healthy engagement gift set for sharing with friends and well wishers. Yilan County Farmers' Association was founded in 1951 and has become the most important source of information for local educational institutions; it's also a channel for fresh produced agriculture products, great place for shoppers and information center for tourists. Together with the Dongshan Township and Su'ao Regional Farmers Associations, the Yilan Country Farmers Association has helped established mushroom farms, refitting old granaries with modern temperature control equipment to produce high quality mushrooms while at the same time creating a model of transformation towards high-tech, high-quality production for other Yilan industries to follow. 1. Safe, ready to eat, and convenient. 2. Unique flavor, a result of our continual research to increase the economic value of duck meat. 3. Meat from specially bred ducks undergoes a tenderizing massage process, and it is guaranteed to change the way you think about duck meat. 4. Packaging reflects local culture. Available designs include The Duck King, Duck Souvenir, Duck Opera, and The Dancing Duck. Yilan is famous for its duck, which is known throughout the island. Dr. Duck continues this tradition by producing technically innovative new duck meat products using unique package design, production processes, and recipes. All of our duck products have excellent color, fragrance, and aroma; they include duck fillets, burdock rolls, goose liver rolls, combination rolls, goose sauce braised ham, goose liver sauce, and duck meatballs. Our tender duck meat is smoked, carved, seasoned and sealed in airtight packages. Customers need only to open the package and the duck is ready to serve to family or guests. Spiced with premium Sanxing onion powder, our Onion Noodles are free from additives, preservatives, and chemical flavorings. They have an appealing texture, robust aroma, and are a delicious treat not to be missed. The gift box can be used as a picture frame and is perfect as a souvenir. Green onions have been grown in Sanxing over twenty years. This delicious, widely loved spice contains propylene sulfide to help boost vitamin B1 level. 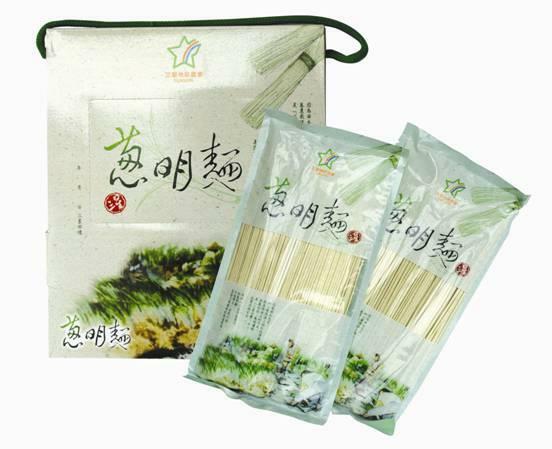 The Sanxing Area Farmers' Association has developed green onion sauce, green onion flour, onion oil, green onion liquid butter and other unique products that can be used in noodles, fried rice, roast meats, marinades, or added directly to vegetables. This unique local gift makes cooking a pleasure, and will introduce you to a new taste of green onion. Red dew wine is a descendant of the “Old Red Wine” made in Anxi in Fujian province, and derives its name from the rich red color of the young wine. In 2006 our premium product County Select Red Dew Wine was launched with the Golden Pheasant Cellar Aged Red Wine event series. Moreover our wine was also used to celebrate the opening of the Taipei-Yilan Expressway. 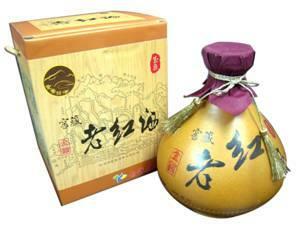 Therefore, the red dew wine in one of the representative products in local culture. Yih Shun Shiuan YQ Chewy Cake can easily make our lives full of happiness. Yih Shun shiuan YQ Chewy Cake has always used carefully selected local ingredients including famous Yilan eggs, and pork from black-haired pigs, which is flash seared then slowly stewed to help make delicious biscuits with layer upon layer of distinct flavor that will make your taste buds jump for joy. Cakes are individually wrapped, which not only makes them convenient to eat but ensures freshness, and makes them an excellent gift. We have always adhered to the principle that “Tasty Cakes = Happiness”. Yih Shun Shiuan has been delivering you delicious cakes for 40 years! 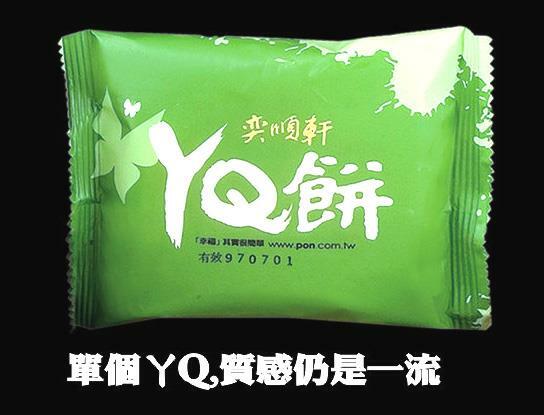 Don't miss our most popular original product, the Yilan Souvenir Series of YQ Cakes in original flavor, nougat flavor and other delicious flavors. 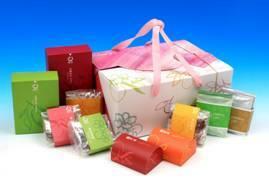 Yi Shun Xuan has outstanding service and they can make the best cake with great taste and exceptional value. The waters of Su'ao's crystal clear cold mineral springs are under 22C° and are rich in CO2. It is this water that is used to make Su'ao's famous cold mineral water and red bean cakes. Cold Spring is also combined with age old yeast making techniques to create naturally fermented top quality red yeast sauce, it's another one of Su'ao's prized products. The Su'ao Regional Farmers Association was founded on October 10, 1921 and has always strived to gain the trust and admiration of its members. In 1944 it was divided into a cooperative and a farmer's association, which were again merged in 1949 to form the Su'ao Township Farmers' Association, and then merged with the Nan'ao Farmers Association in 1975 to form the Su'ao Regional Farmers Association. In addition to the headquarters in Su'ao, branch offices in Nanfang'ao, Xinma, Shicheng, Nan'ao, and Longde provide financial, procurement, and marketing assistance to members and to the general public. 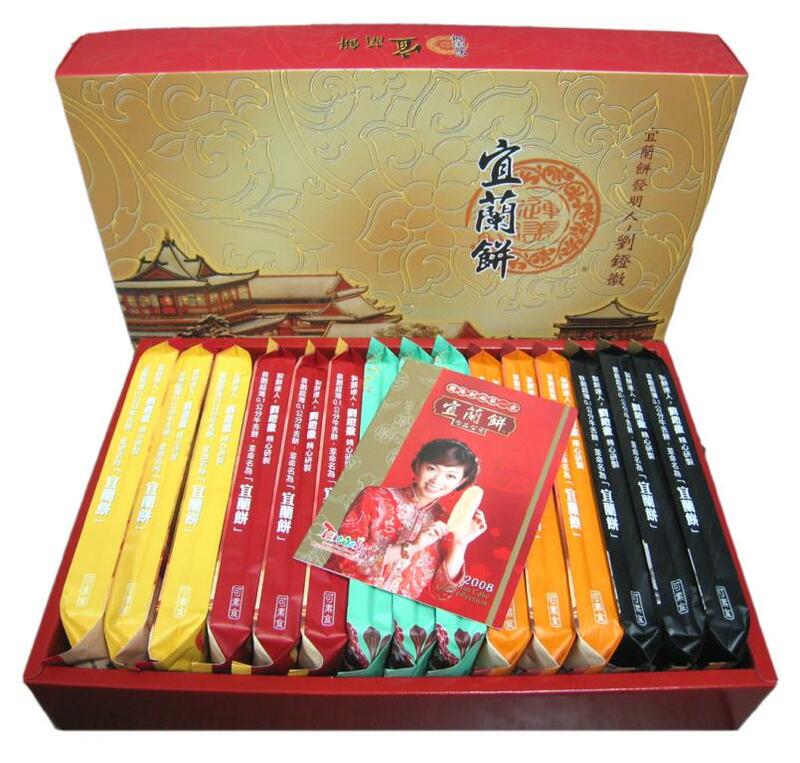 The 15 pack family gift set is The I-Lan Cake Company's best seller and comes in milk, cheese, maple sugar, Sanxing Onion, barbecue, and sesame seed flavors. The crispy, super thin 0.1cm cakes are made with innovative baking methods. 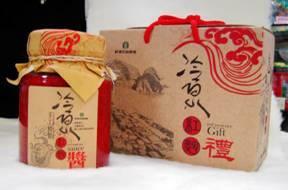 It has gradually established itself as Yilan's signature product and favorite for tourists. The crispy, delicious, paper thin cakes are the world's thinnest. They have been dubbed I-Cake by their many admirers, a name suffused with local flavor. But surprisingly, they are the invention of one man, Liu Denghui. 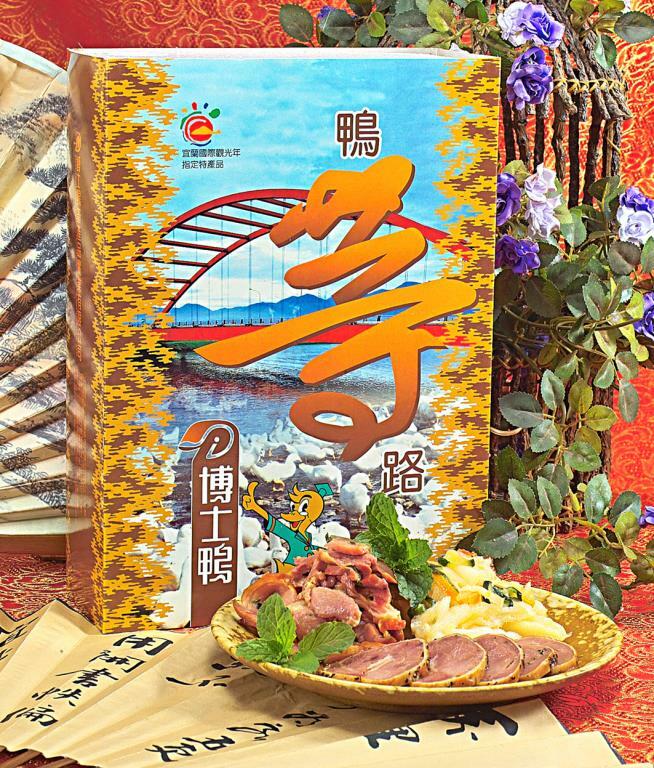 When the Yilan government designated tourism as a focus of future economic development, Liu decided to develop a Yilan based cake brand, and it is his thin crispy cakes that have become Yilan's most famous local specialty. We carefully select the best kumquats to use in our products. Seeing the smile on your face means the world to us. "Dream Field Koshihikari Rice" registered its trademark in June 2005, it has gained a reputation for having very little white in the center of its grain, its translucent color, the luster of the cooked grains, its superior firmness and sweetness, as well as its texture and chewiness. 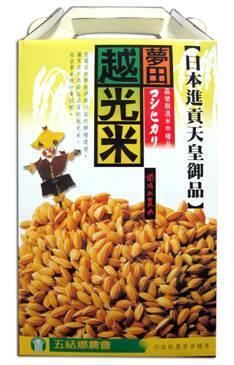 It also preserves its flavor after refrigeration, earning it a place among the world's leading premium rice. It tastes great no matter how you cook it. The Wujie Township Farmers' Association specializes in the production of rice; it is the only rice manufacturer in Yilan County earning government's CAS rice processing certification and the only one to be named as a special rice manufacturing and sales zone. We are also Yilan's largest grain manufacturer and all of our top quality rice is sold under the Wunong Rice brand, including Dream Field Koshihikari Rice, Taiwan Good Rice, Brown Rice, Mengxian Rice, Yiquan Fragrant Rice, and Weidian Rice.